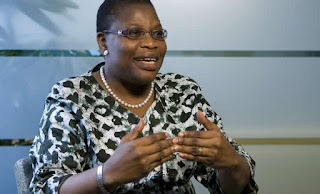 Ezekwesili said she stepped aside from the presidential race to help build a coalition to defeat the All Progressives Congress and the Peoples Democratic Party in the February 16, 2019 election. @MarkEssien “Oby Ezekwesili has stepped down to help build a single coalition against the incumbents. My next preferred candidate is Kingsley Moghalu, and if all other 3rd force presidential candidates consolidate around one person, it can become significant enough to shake the status quo.